Robert Wright Lee IV. Photo by Jessi Lancaster. Robert Wright Lee IV stepped into the national spotlight at this year’s MTV Video Music Awards. He introduced Susan Bro, the mother of Heather Heyer, who was killed when a White nationalist drove his car into a group of people standing against White supremacy in Charlottesville. 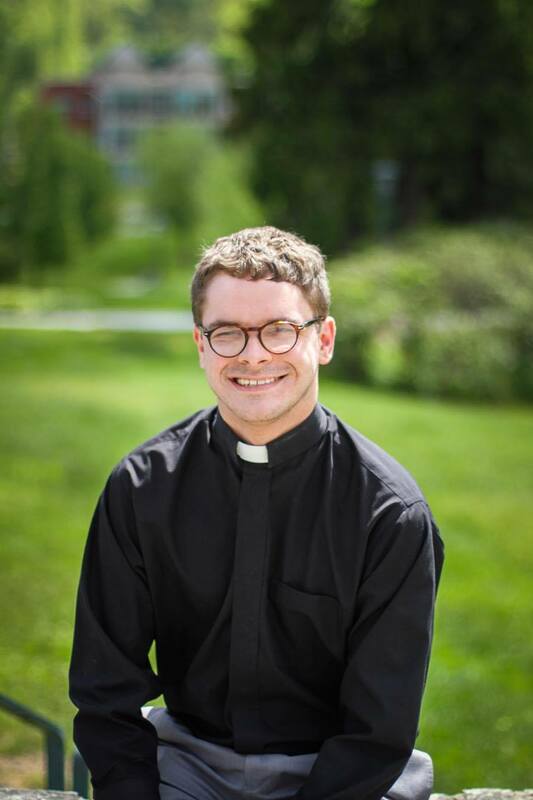 Lee is a 25-year-old native of Statesville, North Carolina, and a recent graduate of Duke Divinity School. He is also a distant relative of Robert E. Lee, the Confederate general, and until recently, he was a pastor at Bethany United Church of Christ in Winston-Salem, NC. That changed after Lee took a strong public stance on the removal of Confederate monuments in the South. Lee resigned as pastor following his remarks on MTV, because some members of the congregation said they were uncomfortable with the attention he was drawing. It was controversial enough that the church members decided to put his tenure to a vote. Scalawag asked him about the reactions he’s been getting, how White churches benefit from White supremacy, and navigating solidarity in the national spotlight. Sammy Hanf: I want to talk a little bit about the backlash you have been getting. How have you been feeling about that, and how have you been processing that? Rob Lee: Twitter trolls are awful people, and so is the fact that they can hide behind their keyboards and engage in rhetoric that is hateful. There are people who have no idea who I am or what I stand for, have only seen me on a television screen or in a news article and are tweeting at me and saying that I'm the worst thing that's happened to America I'm stepping on the graves of my ancestors. I think what it does speak to is the fact that we're hitting a national nerve about the conversation surrounding White supremacy and White privilege. "People are afraid to talk about this, and when people are fearful they lash out." SH: Where do you think this backlash is really coming from? RL: I think this backlash is coming from the people who have the most to lose in all of this, right? I'm getting nothing but support from the African American community. I'm so thankful to them and I'm trying to center their voices as well in this conversation because that's important to me. I also think that White America and White churches have a lot to lose in this conversation. They have a lot to lose because they aren't confronting this, they aren't naming racism as a sin, they aren't naming racism as a problem from their pulpits or from their community centers or from their political organizations. SH: You said on The View that White churches are having trouble finding the vocabulary to address these issues. Where have Black churches been succeeding where White churches have been failing? RL: Well, if you look at it from the Black church perspective, from history, you see figures like Dr. King who believed in the inherent link between political and social activism and the church. The White church hasn't been engaging in that, especially surrounding issues of racism, of LGBTQ rights. We the White church are afraid to find words to speak our truth because we don't know what our truth is. SH: How do you see White churches benefiting from White privilege and White supremacy? RL: Oh my gosh, it's deeply ingrained. It's in the water table, I mean we're drinking the water of it. We sit in our pews on Sunday which is the most segregated hour of our week. We talk about the gospel as if it's some far off idea that's very nice and gets us going and we don't have to worry about it because it doesn't really affect us. Now if you go to a Black church on Sunday morning, they are deeply concerned with the liberation of people, because they too have experienced what the Israelites experienced when they were going out of Egypt. For many Black churches, America is Egypt and we have to consider that and live into that and maybe reconcile that through our redemptive powers that we have as a church. If the White church can begin to name the things that are wrong in this world then I think we're heading in the right direction. SH: Who are your role models in the church? RL: Gosh, I have so many. One of them I look to is a person of color, Broderick Greer. He has engaged me as a White person and we've talked back and forth about what that means, to be a White ally in this. I think there is a tendency right now to put me on the news instead of a Black person, because of my name because of what happened with my job but maybe we could engage more persons of color in this conversation about persons of color, y'know? That's important to me. I look at Diana Butler Bass who's a theologian and Will Willimon who is one of my greatest mentors. He just wrote a book "Who Lynched Willie Earle?" and he talks about the sermons that were preached after a lynching and how it changed the course of that town’s history. I mean that stuff is engaging, and how we engage through our writing, through our preaching, through our teaching anti-racism is going to determine the future of the church. "There is a population of this country who will only listen to a White guy named Robert Lee." SH: How do you reconcile the fact that you're elevated to a position of authority right now because of your relation to Robert E. Lee, and because you're a White guy? RL: I reconcile it because I realize that there is a population of this country who will only listen to a White guy named Robert Lee. There is a subsection of this population that sees Black Lives Matter as a terrorist organization, that sees what's happening in our nation as a moment of fear and not a moment of hope, and if in some small way I can inspire hope then perhaps I've done good in this world. I was sitting the other day having breakfast and someone came up to me and they said, we saw you on TV, thank you for what you're doing, and they called their grandfather who marched in the Civil Rights movement and I talked to him for a little bit. He said, "We had White Christians who marched with us and we're thankful that you're marching with us today." I see that as a great call for all of us, because what we do with our privilege matters. I can't stress that enough, what we do with our privilege matters. Moral Mondays and the revived Poor People’s Campaign are part of a larger effort on the part of the Left to reclaim the rhetoric of Christian morality, a movement that’s being led from the South. More opioids are prescribed in Columbus County than anywhere else in North Carolina. Due to a lack of mental health care, faith-based initiatives and families are bearing the brunt of addressing the crisis.